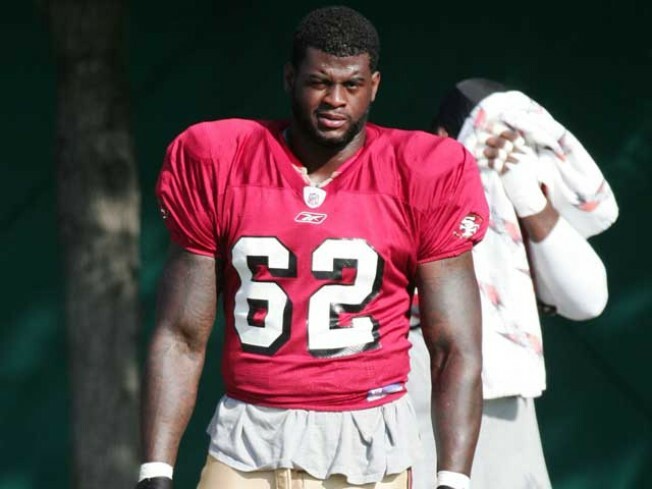 Chilo Rachal gave the 49ers a training camp scare. A troubling sight in the San Francisco 49ers' training camp this week, as offensive lineman Chilo Rachal collapsed spontaneously and needed to be carted from the field. The diagnosis is simple dehydration. "Overheated. 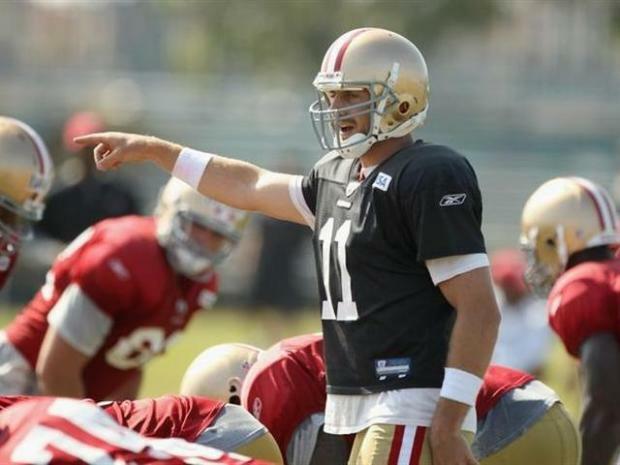 Dehydrated," coach Mike Singletary told the Santa Rosa Press Democrat after Tuesday's practice. "Just had to go in and get some IVs." Rachal was in practice Wednesday, though not participating. "Chilo Rachal is on his feet and observing o-line drills," beat writer Matt Barrowstweeted from Wednesday morning camp. Barrows recalls the scary incident from up close on his Sacramento Bee 49ers blog. "I happened to be watching (Rachal) at the time," Barrows writes. "Offensive line coach Mike Solari was yelling his name, 'Chilo! Chilo!' when Rachal listed a little to his left and went face-first into the grass." It was man versus machine as 49erskicker Joe Nedney squared off with a robot in a field goal kicking contest. "He stayed down for about eight minutes before being carted into the locker room," Barrows writes. Fans can't help but recall rookie Thomas Herrion's untimely death from an undiagnosed heart disorder after a 49ers exhibition game against the Broncos in 2005 , and understand the abundance of caution. Rachal will be held from physical practicing until later in the week. Joe Kukura is a freelance writer who is not concerned that Eric Heitmann is being held out for a day or two as well.